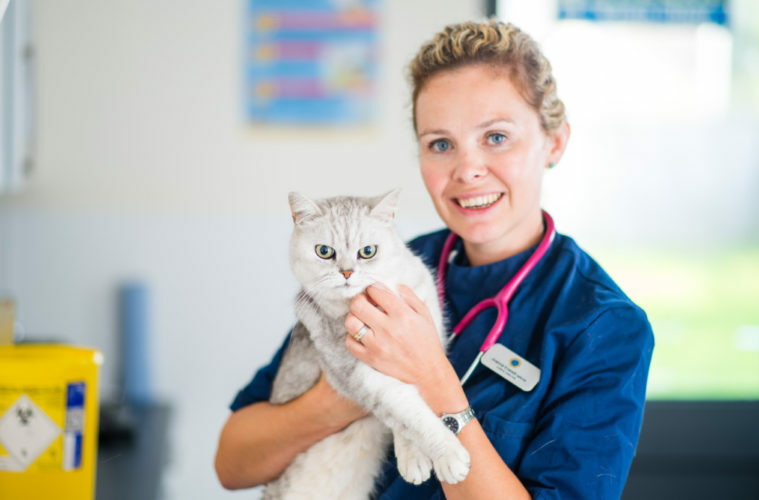 Bath Vets regularly answers questions from readers about their pets in The Bath & Wiltshire Parent magazine. We’ve collected a number of them here to share with families. How far should we take our Cockapoo for its daily walk? How exciting, Cockapoo’s make lovely family pets! They are a cross between Cocker Spaniels and Poodles, and are intelligent and energetic and benefit from lots of exercise to stimulate their mind and body. then destructive. On average adult Cockapoo’s require a minimum of 30-45 minutes exercise twice a day but will be happy to be out much more than that at weekends. They also make good agility or fly-ball competitors. All puppies need to build up their exercise amount and intensity gradually, generally start with five minutes walking for each month of their age until they are fully mature. How can I help my cat to be less nervous? Nervous cats can make disappointing pets but unfortunately constantly trying to impose affection and interaction on anxious or timid animals often makes things worse. in the same room as the family, and eventually from your hand. Fun toys that encourage playing from a short distance can be rewarding too eg fishing rods with catnip toys or laser pointers. Some cats benefit from the synthetic pheromone sprays & plug-ins which can help them feel more secure. Will my hamster get hot in the summer? Hamsters come from parts of the world where it is normally pretty cold, even below freezing, at the times they are usually awake & active. They are very sensitive to high temperatures and can suffer from heat stress at temperatures above around 22°C. This can progress to heat stoke which can sadly can be fatal. Symptoms to look out for are a limp, floppy hamster who is trembling and dribbling. It is important to ensure your hamsters cage is not kept in direct sunlight or in a shed with poor ventilation. In very warm weather, you can place a frozen tile in the cage, add ice-cubes to the water bottle or offer chunks of frozen fruit as a treat. Take extra precautions if travelling on warm days as the small travelling cages can heat up in the car within minutes. My brother recently got a tick. Can my dog get them as well? Yes. Dogs frequently pick up ticks, especially on walks, as ticks live predominantly in wooded, grassland and moorland areas. Hedgehogs and foxes are common tick carriers too, so your dog can also get ticks from being in your garden or urban areas. Ticks can cause a skin reaction where they bite (swelling and sometimes infection occurs). 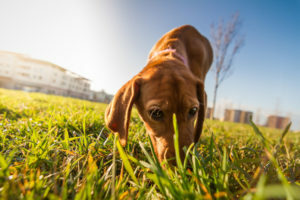 Ticks can also transmit diseases such as Lyme disease (Borreliosis), Babesiosis and Ehrlichiosis; the last two diseases are not normally carried by ticks in the UK, but can be transmitted to your pet if they travel to Europe and are bitten by a tick carrying the disease. For the reasons above, it is important to check your pet daily for ticks, especially in March to November when they are most prevalent. If you see a tick, remove it from your pet’s body with a special ‘tick remover’, ensuring the body and mouth parts do not remain in the skin. Your vet can show you how to remove ticks safely and advise on tick prevention products. Why doesn’t my cat drink the water from its bowl but it drinks out of puddles? Water intake is important for your cat’s health but there are several reasons why many pet cats do not like drinking the water in their water bowls. Cats have a powerful sense of smell which can mean they find the fluoride added to our tap water unpleasant and they can also be put off by the chemical detergents we use to clean their bowls. Bottled or filtered water may be preferred and make sure bowls are well rinsed after cleaning. It can also be due to the placement of the water bowl itself – in the wild cats, will not drink near to where they eat as that water may have been contaminated by the prey they have killed. Keeping the water bowl well away from the food bowls can encourage water intake. In addition some finicky cats do not like bowls which squash their whiskers so may drink better from a shallow dish that they don’t have to dip their head inside! Try some of these tips and see if they encourage your cat to drink more inside. Is it OK for my cat to go out in really cold temperatures? tail. Short haired cats and the sick or elderly will be more severely affected by cold weather than their young, fit, long haired friends. It is vital that outdoor cats are provided with warm, draught-free shelter in the colder months, and they will also need you to keep water bowls free from ice and to be fed extra food. Other winter feline hazards outdoors include the caustic ‘grit’ on pavements causing skin trauma to the foot pads, and even more seriously, cats seeking warmth inside car engines or licking extremely toxic anti-freeze.